Shelia S. Reviewed by Shelia S.
We have used these all before, but the deal was great! We will buy again and again because it all tastes amazing! We usually get extra and share with friends! 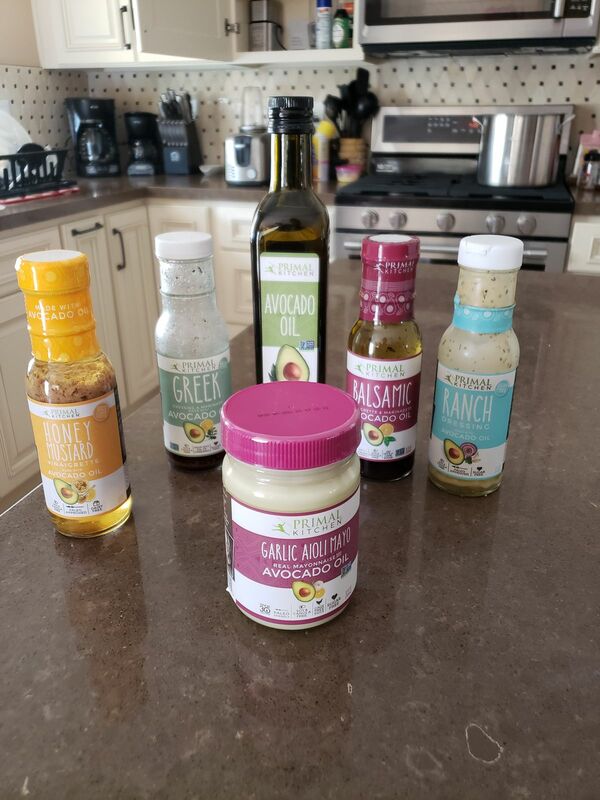 Caitlin K. Reviewed by Caitlin K.
I loved the primal pantry kit. It had a lot of the essential things I cook with and use with meals on a daily basis. I'm very impressed with how tasty the balsamic dressing is! My husband is even enjoying these as well. Eva H. Reviewed by Eva H.
I have enjoyed all the products in this kit. Thank you for making these quality dressings that are healthy and delicious. Jodi F. Reviewed by Jodi F.
I love all of theses products and buying them together was so nice. I will be ordering more of all of these products. Love them. Do Primal Kitchen condiments need to be refrigerated? They can stay in your pantry until opened. Once opened, keep refrigerated and consume within 60 days. * There is no guarantee of specific results and results can vary from person to person. However, we feel so strongly about our products that we offer a 30-day money back guarantee. Try Primal Pantry Kit today, and if you're not completely satisfied with the results, return it for a full refund minus shipping and handling—no questions asked.